Don’t miss the opportunity to meet the France’s leading university for social sciences ! 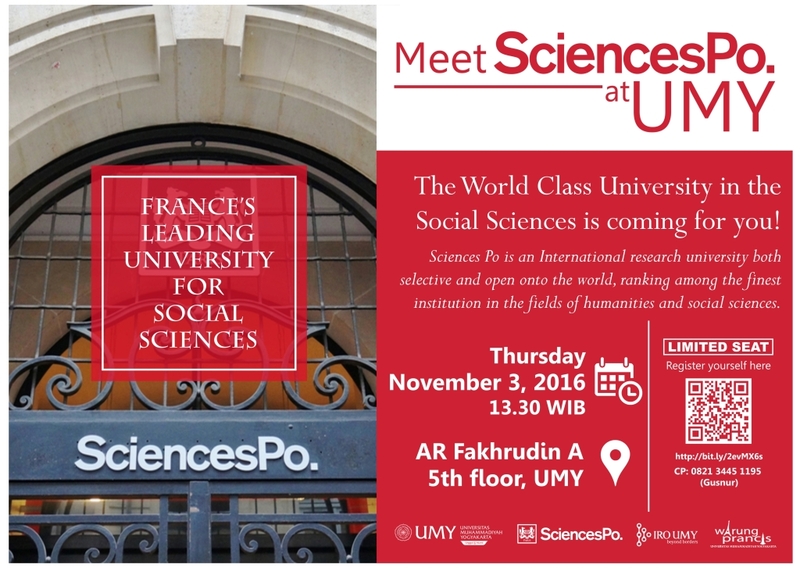 Invitation for students of Universitas Muhammadiyah Yogyakarta to meet the Sciences Po Paris University, the world class university in social sciences. Find out how to study at the world-class university in a world-class city. This session will be held on Thursday , November 03 2016 at Gedung AR Fakhrudin-A 5th Floor UMY and will be started from13.30 WIB . This event is free of charge. Limited Seat, grab it fast !